Seloc is a leader and innovator of marine engine repair manuals for outboards, inboards, stern drives, diesels and PWC’s (Personal Water Craft). Seloc print manuals, Seloc online manuals and SelocPro are available at Go2marine. Seloc offers a full line of printed manuals with complete coverage on everything from basic maintenance to complete engine or drive overhaul; featuring simple-to-follow, step-by-step, illustrated procedures, hundreds of exploded views, photographs, tables, wiring diagrams, specifications, and user friendly indexes. Many of our newer manuals contain a skill level rating system for each procedure which also include special tool icons. Contains complete and accurate how-to information for the do-it-yourselfers and the experienced mechanic. Has photos, illustrations and step-by-step instructions for quick identification and corrections for any problem. 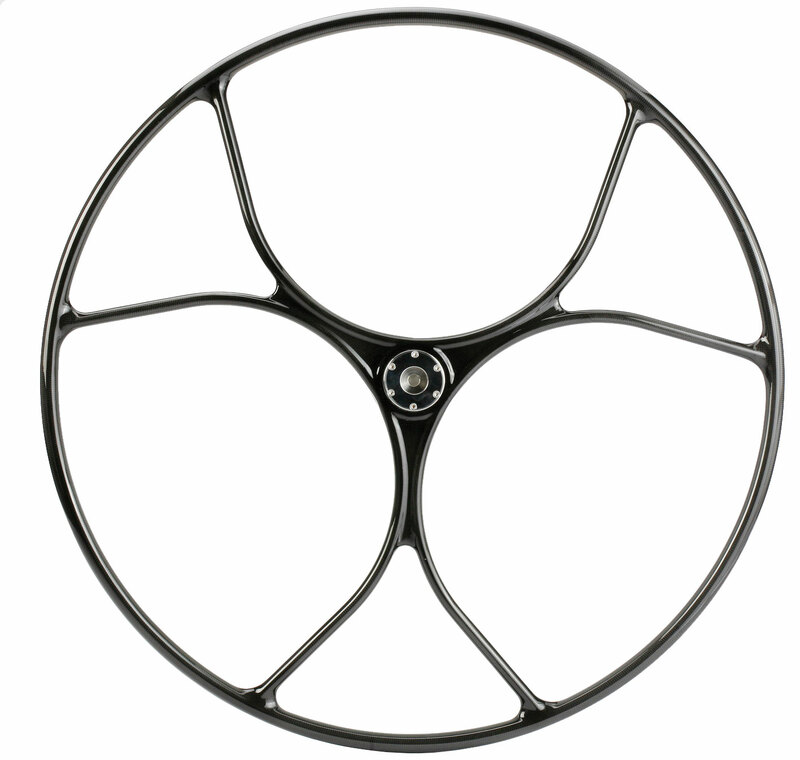 Also contains comprehensive electrical wiring schematics for all models. The quick reference section provides commonly used specifications and service information. An easy-to-use index to quickly locate the information you need. Seloc Online, an internet based subscription product, is the most comprehensive online tool available for do-it-yourself repairs! Our database of mechanical repairs offers complete service procedures, wiring diagrams, maintenance schedules, specifications, parts database, dealer locator, and more. Provides the user with unlimited Internet access for three years for a “single model/year” engine and the respective drive system. Our professional version, Seloc Pro is the most comprehensive database tool available to marine technicians! Unlimited access to our database of mechanical repair, including mechanical labor times, service procedures, wiring diagrams, parts, specifications, and an estimating module with parts and pricing. + 120 more Indexed subjects! 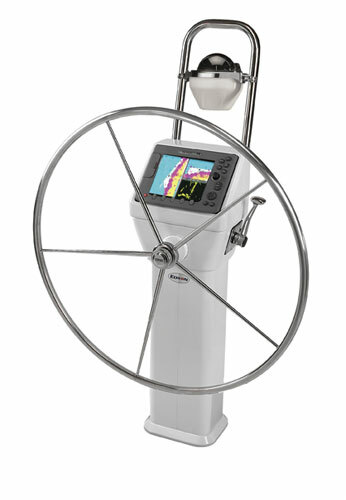 No other single piece of equipment is so well discussed (and debated) by all pleasure boaters as anchors. 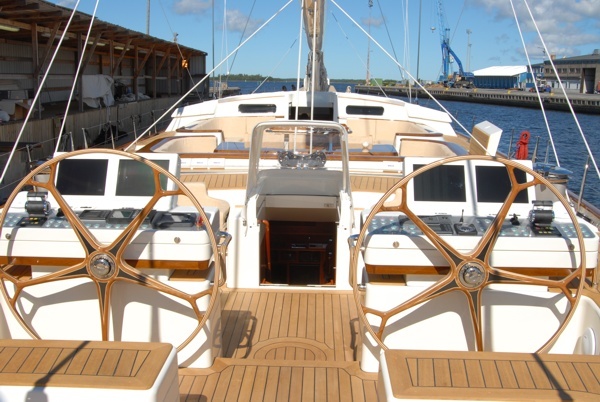 On a given weekend, while working on deck, I have often heard somebody come by and make a comment about anchors on boats – I had a Delta 55# as my primary anchor on a 26,000# Ingrid 38 Ketch which stood out as a heavy anchor. Power boaters and sailors alike debate design, size, usage and holding power of anchors. An anchor can allow you to sleep well or it can destroy a trip or vessel. No other single piece of equipment will put a vessel in as immediate danger as when you are counting on your anchor; and your anchor fails to hold. A proper anchor will hold you to the bottom when you are drifting without a motor, while sleeping the night in a cove or weathering out a storm off a wave washed shore. 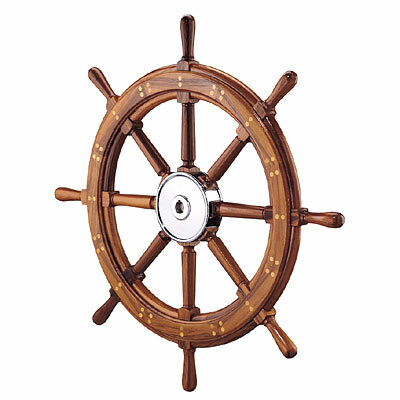 An anchor also allows you to explore and overnight in places with no docks, mooring buoys; off the beaten path. Early anchors are thought to be rocks tied to rope and there is archaeological evidence dating from the Bronze Age to support this. For over 3000 years, anchors consisted of using a great mass to hold a vessel at anchor. In 1637, the “Sovereign of the Seas,” at 1600 tons, carried 12 anchors of 4000 pounds each! It was during the 1600’s that two goals were combined to make anchors what they are today, a penetrating point (from the hook) and a reasonable mass. The fisherman, yachtsman, or kedge, anchor works well in sand and mud, and is better in hard bottoms and grass than other anchors. The design is a non-burying type, with one arm penetrating the seabed and the other arm standing proud. 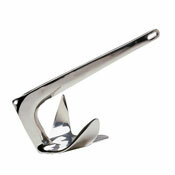 The kedge anchor is popular as the ultimate storm anchor. It has stood the test of time and is still built today, in a virtually unchanged form. 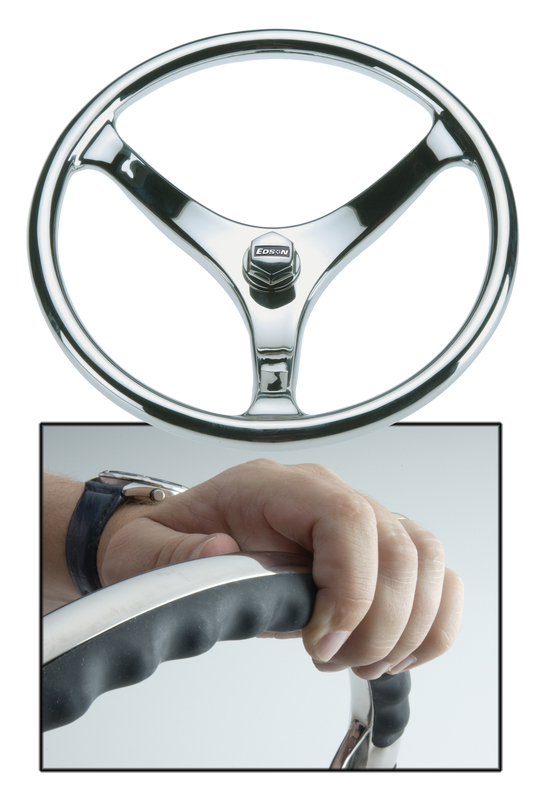 Popular cruising anchors, the plow anchors include the old cruising standard CQR ‘secure’ – “Coastal Quick Release” and the modern Delta. They get their name from the plow shape witch digs in well and this anchor will reset itself if a change in pull trips it. Although it may not bury in hard bottoms, this anchor is more effective in grass than other lightweight anchors. This anchor is hard to stow, except on a bow roller. The Danforth is lightweight compared to its holding power, the Danforth is superb in sand and mud, and its flat configuration makes it easy to carry aboard. The Danforth doesn’t set well in hard bottoms, and sea grass can keep it from reaching the bottom. 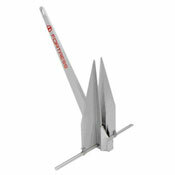 There are many similar lightweight fluke anchors on the market, including the Fortress, which is aluminum. In a strong current, the broad flukes of the Danforth and similar fluke anchors can make them sail through the water rather than sink to the bottom. Claw and Manta anchors are originally based on the Bruce anchor; the anchor designed to keep North Sea Rigs in their place. The Claw style anchor will reset itself if tripped. However, it doesn’t do well in hard bottoms, and the shape of the flukes makes it vulnerable to fouling in heavy grass. A fixed shank anchor that is harder to stow. Since the 1970’s, private pleasure boats have driven the popularity and design of modern anchors for small to medium sized vessels. 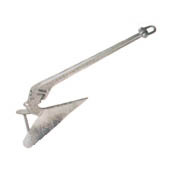 Aluminum versions of Fluke Anchors, modern fixed shank plows like the Delta and Claw are all anchors that have received and furthered designs of older proven anchors. You will need more than one Anchor abour a boat that spends any time away from the dock. A 34 foot cruising sailboat might carry 4 anchors; a 35# Plow anchor (main), a 33# Claw (backup), a 50# Fisherman or 40# Fluke anchor (storm) and a 8.8# grapnel (lunch hook, dingy, dredging). For a 34 foot weekender sailboat, you could carry one 45# plow – the Delta as a main anchor and a 40# fluke as a backup anchor. A 35 foot power boat might carry 3 anchors; a 33# stainless steel Claw (main), a 40# Fluke (backup, storm) and a small grapple or fluke anchor (lunch hook, dingy, dredging). Now that the winter is over, is your boat lift cover looking worn and tattered? A new custom fit canopy cover from Go2marine will improve the look of your dock and home. Go2marine carries replacement canopies for the most popular boat lifts, including Hewitt and Shore Station. 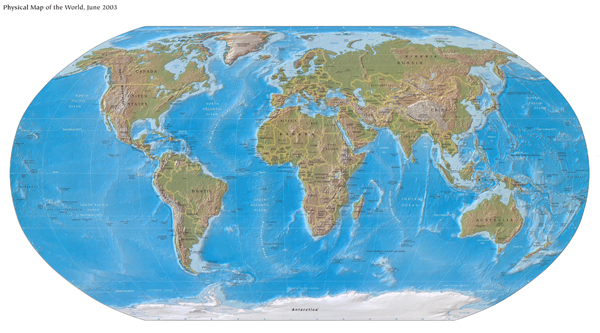 Plus, they now have free shipping on these covers anywhere in the contiguous 48 states. With three fabric type choices and color selection within each fabric, how do you make sure you get exactly what you need? Go2marine helps you make these decisions with their guides on determining cover size and product information. If you’re still not sure, contact the experts at Go2marine or better yet, send pictures.